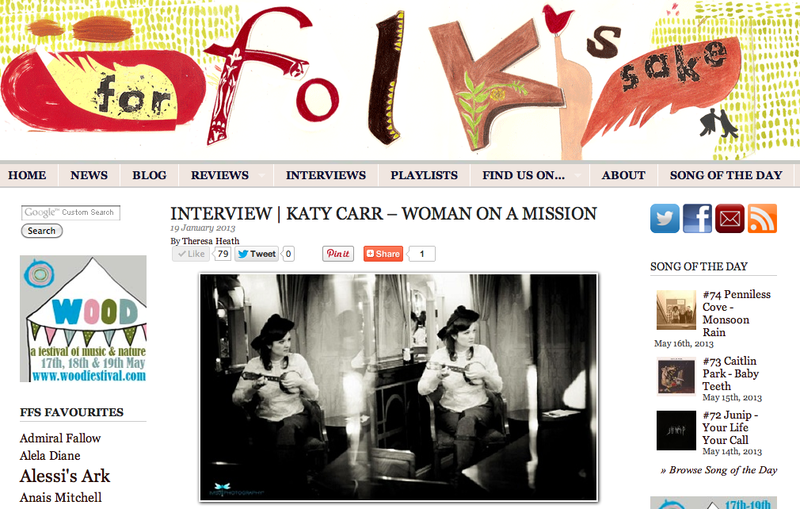 Katy Carr is on a mission. The daughter of a British father and Polish mother, her fourth album,Paszport, is a tribute to lost and forgotten Polish war stories that is both moving and a darn good listen. Carr’s first two records, Screwing Lies and Passion Play were more straightforward folk – tales of love, passion and seduction that flirted with quirky arrangements and synths. It was with 2009 release, Coquette, that she began to explore stories from the Second World War and the themes of patriotism and nationhood that, with Paszport, would become a raison d’etre. Known for performing in beautiful, 1940’s vintage outfits, Carr’s fascination with WW2 began early in life – rather uniquely for a folk singer, Carr is a qualified pilot who trained with the Air Training Corp, and who firmly believes that the spitfire ‘saved Britain from Nazism’. 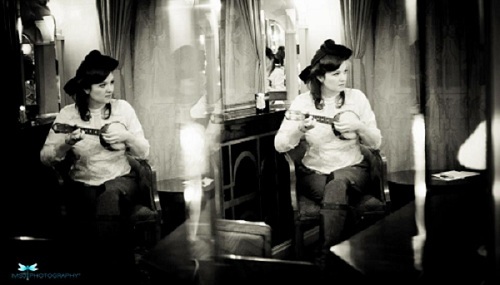 But her love of 30’s and 40’s music was really sparked by her English grandmother. Carr recorded it all, fascinated by tales of the dance halls and music, and how the songs of Gracie Fields and Dame Vera Lynn – whom she later met and presented a song to – were used to keep morale up through this desperate time. She also discovered that her own, crystalline voice, felt comfortable in a similar style and register. Although the subsequent record, Coquette, focuses on British war stories, one of the songs, ‘Kommander’s Car’ was inspired by the astonishing story of Kazik Piechowski and a group of other Polish men interned in Auschwitz who stole the uniforms of their guards and made away in the commander’s car. ‘When I wrote ‘Kommander’s Car’ I didn’t know Kazik was still alive! I was trying to imagine what it would have been like to be in the car, and I was Kazik in my songs and I didn’t even think of him being alive. I wanted to give my song to the Museum of Auschwitz and they said, ‘You know he’s alive?’ I think it was the most beautiful shock I’ll ever have in my creative career. And so Paszport was born, a collection of, alternately, wry, sad, sweet, despairing and triumphant Polish stories. Many use Polish folk sounds and structures, while others, like ‘Kommander’s Car’, have a more contemporary feel. Particularly heart-rending is ‘Mala, Little Flower’, based on the story of a Polish girl who hid twelve Jewish people in the basement of the SS Officer she was forced to work for. When the officer finally discovered them he threatened to kill them unless Mala slept with him – which she did. Having survived this horrific ordeal she went on to meet and fall in love with another freedom fighter, who then died before their wedding day. Listening to Carr talk about people she’s met who walked from Siberia to Africa, or who worked in the sewers as part of the Polish resistance, it’s difficult not to be similarly shocked and awed by the resilience of those involved. With so many stories coming to her, does she feel compelled to make another, similar album?